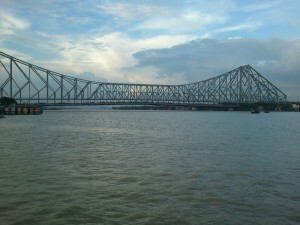 Hooghly once served as an important trading post long before Kolkata rose to prominence. The Portuguese set up a factory here even as early as 1537. Hooghly passed into the hands of the British East India Company in 1651. Chunchura, the district headquarters was originally a Dutch settlement, which was exchanged in 1825 for the British-held Indonesian island of Sumatra. Air: The nearest airport is Kolkata’s Dum Dum airport, which is nearly 25 km from Chunchura. Rail: Hooghly district is well connected by rail with other parts of the country. Road: Hooghly district is well connected by road with other parts of the country. River: The best and most fascinating way to visit these heritage sites is to take opportunity of the famous Ganga Heritage Cruise conducted by WB Tourism Development Corporation with MV. Bandel Church: The Portuguese settlement at Bandel one of the earliest houses the Portuguese church, the oldest church in West Bengal, and a seminary. It is established in 1599. This church is dedicated to Nossa Senhora do Rosário, Our Lady of the Rosary. It is one of the most prominent historical churches in West Bengal as well as in India. Bansbaria: Famous for the Basudev and Haneswari temples. The architedctural splendour of the Haneswari temple, with its unusual spires and stone and woodcarvings is especially no table. The walls of the Basudev temple are decorated with terracotta carvings depicting scenes from the Hindu epics. Chandannagar: Chandannagar, once a French Colony, on the riverbank. Splendid colonial architecture and a picturesque promenade lend a charm to this place. The churches, convents and the French Administrator’s office are the various places of interest. Chunchura: Reminiscent of the Dutch settlement. Kalna: Kalna, in Burdwan District, was once the summer residence of the Rajas of Burdwan. The temples here are built of intricately carved terracotta bricks. Unique among them are the ornate Lalji Mandir and Chandraji Mandir having 25 peaks Pratapeshwar Shiva Mandir with exquisite terracotta works and the 108 Shiva Mandir complex – rare examples of architectural works, are all an experience of the Vaishnava Culture. Octagonal Church: The Dutch built this famous church in 1678. Srirampur: Once a Danish settlement, Srirampur is today, an industrial settlement on the west bank of the Hooghly. Formerly known as Frederiksnagore, after King Fredric VI of Denmark, this colony of the Danes was later taken over by the East India Company. Srirampur was the centre of activity for English missionaries who started a printing press and paper manufactory, besides opening schools and publishing journals here. Tarakeshwar: The largest Shaivite shrine in eastern India, Tarakeshwar is famous for its Shiva temple. This entry was posted in Hoogli, West Bengal. Bookmark the permalink.